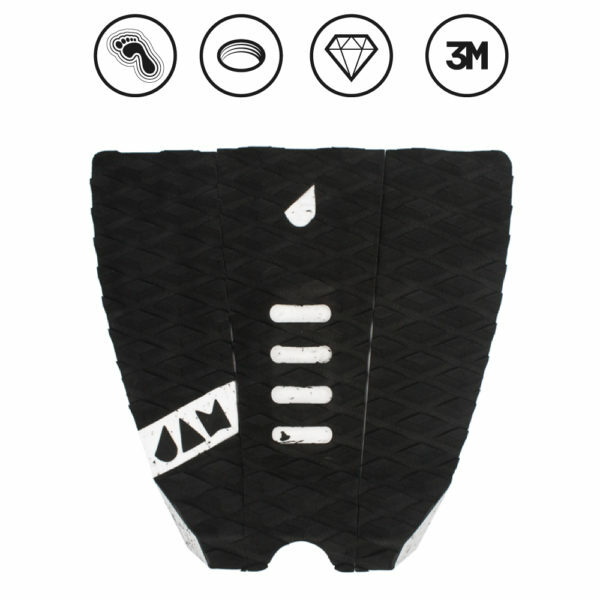 The Mini Me is a Three-Piece Traction pad with a narrow archbar designed for boards with narrow tails. The perforated design make this Pro Model ultra-light and perfect for your high performance shortboard. Black. Also available in White.